Description: Macro slow motion shot. 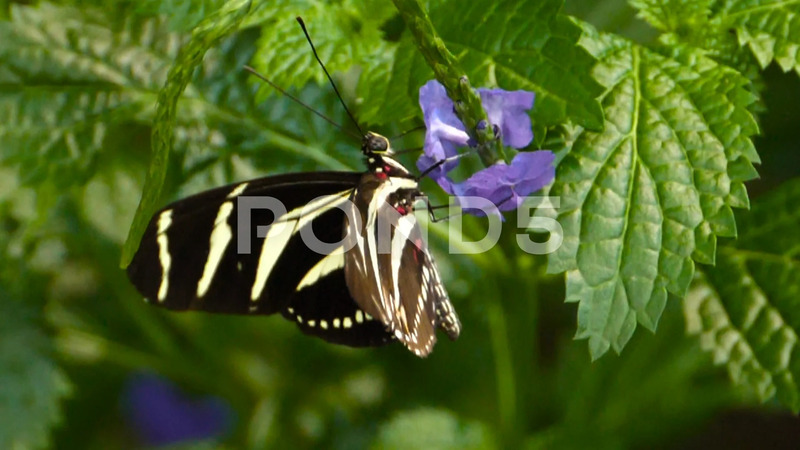 Zebra longwing butterfly sits on a flower, sipping nectar- profile view of the butterfly. It flies backward and then away.